It is very common that foreigners want to buy housing in countries other than that of their origin and residence, whether for business or because they are looking for new places to live. That is why at HalloCasa we strive to give you reliable and concrete information on how the process is carried out. According to Costa Rican law, foreigners have an unlimited right to buy property and land. The only limitation that exists in this regard for private person are areas with a distance of 200 m from the coast, an estuary, nature reserves and islands off the coast. We are happy to see you are interested in a property published in HalloCasa. At HalloCasa you can use a large number of tools to understand the process of buying a property, in addition to finding general information about it. At HalloCasa you can also find available documents and additional information, which will allow you to investigate in detail the environment and infrastructure of the property, facilitating the buying process. If you like a property and are interested in knowing more about it in order to easily make a purchase decision, the first step is to investigate at the public registry office to confirm that the property is free of mortgage liens or limitations that may affect the buying process. In Costa Rica, property sales are carried out in two ways: directly through owners or through brokers. On HalloCasa you will see the language in which you can contact them. Most agents speak English, but in case you need a translator, you can also find translators at HalloCasa. The seller will send all documents available and necessary for you. However, a visit to the property may be of interest to you, so if you need assistance with travel arrangements, HalloCasa experts will be available to advise you at the time you contact them. We recommend that you take a look at the tour operators, this will allow you to realize how beautiful this country is. Contract negotiations are often processes in which both parties gradually approach each other. It is important to note that in Costa Rica specific conditions apply to the contract of sale, so it will be useful to know its details. You will be able to know notes regarding the additional purchase costs in our FAQs. This can be very interesting for you. You are about to acquire your property! You sign the contract, either personally in Costa Rica or through an authorized representative of the country of origin. At HalloCasa you can consult information about notaries whom you can contact. Read below also our detailed process of buying real estate in Costa Rica. Your property is already registered in à “on” your name in the Public Registry of Costa Rica. Congratulations! You recognize that this country has great potential, and believe that this is a promising country. We are happy for you! Enjoy your property! 7. 7. You can buy from abroad or Costa Rica. 7.1 Option 1: You travel to Costa Rica. For each property, you will find information about the following topics. Pay attention to the language skills of the owner / agent. This document contains the entire history of the property and is requested at the Public Registry, in order to verify the name of the owner and the legal situation at a certain date. There is also information on the number of registered plans, the adjoining area, the area, liens and annotations. It is important to keep in mind that the more recent the document is at the buying time; most updated will be the information. This certificate can be obtained by submitting the number of the respective flat or house. In Costa Rica, the tax is paid every in a four-month period. Properties valued at less than 150,000 colons are exempt from this tax. This tax is levied according to the declared or appraised value of the land and the permanent constructions, structures and facilities, including machinery and equipment that form part of the constructions. To pay this tax, you must provide the property number (“real folio”) and the name and identification of its owner. According to the Property Regulatory Law in Condominium # 7933, Article 13, there are administrative expenses in condominiums that must be assumed by the owner in order to care for and provide maintenance to the common areas. This value of administration is contemplated in the same law in its literal C as “common expenses”. The legal owner or broker must provide a statement that the administration invoices have been paid. This must include the respective receipts or invoices evidencing the payment. This also applies to all other public services such as: (electricity, water, gas and telephone). In the Downloads section you can download examples of such documents. If you buy directly from the legal owner, we advise you to consult with an attorney, have your documents translated and certified before being sent. Below you will find a link to the official translators. An appraisal is a document that provides a specialist of the area, about the value that should be assigned to a property for a later sale. In order to issue this concept, several aspects must be considered: the state of the property, its age, the area where it is located and its general physical characteristics. HalloCasa will offer you the option to get in touch with experts and real estate appraisers. It is important to point out that in Costa Rica there is the promissory sales contract and the contract of sale and although both are different, both act as contract. Promissory Sales Contract: This is the preparation to a future contract on a negotiation that at that moment cannot or does not want to be held. In this type of contract a specific time is given to think if you finally want to acquire the property or not. Sales contract: This is one of the oldest contracts of civil law and is used when the parties are clear that they want to carry out the transaction with the price and time agreed. Full identification of the buyer and seller. Foreigners are identified in Costa Rica with the passport. Detailed description of the property including the identity number, which is called Folio Real. Value of the property and method of payment. The value of the penal clause (“arras”) should also be stipulated in case of default by either part. It must include the notice in which the definitive deed is signed, as well as the date and the time of the signature. Likewise, it stipulates the distribution of notary expenses, taxes, and any other expenses that cause the process of buying and selling. To know the real estate purchase rates in Costa Rica, see the section “What are the transaction costs (fees, taxes, transfer costs)?” In our FAQ below. In case you buy directly with the legal owner, ask a lawyer to translate and certify all documents. Make sure you have a copy of these. For those who do not have enough knowledge of Spanish, it is recommended to consult a lawyer who speaks the language, or hire a translator: HalloCasa provides you with a list of translators that you can get in touch with. In “Downloads” you can download examples of these documents. Remember that the contract of sale in Costa Rica must be in charge of an authorized person. According to the Costa Rican law, the person in charge needs to be a neutral part, and is empowered to represent the two parts: buyer and seller. To make a bank transfer, you can count on a person in Costa Rica (friend, relative or your representative) who owns a Costa Rican bank account in order to transfer the money. This person should preferably be a different person from the owner. To this, the document “Example_ Power of a Representative.pdf” in Downloads could be useful to you. For example, in the case of the Bank of Costa Rica, transfers made from abroad, both to current and savings accounts, are immediately and quickly credited at the destination account. They can be made in colons, dollars and euros but will only be received in dollars and / or colons. This also applies for payments of credit operations, payment of cards and investments, among others. SWIFT of the BCR (Bank of Costa Rica): BCRICRSJ and / or UNIVERSAL id 019339. Full name of the beneficiary: Same as registered in the account. Please consider that not all banks provide the service of opening savings accounts to foreigners. 7. You can buy from abroad or Costa Rica. Before traveling it is ideal to previously confirm how much time you will need to carry out the complete business. Do not forget to bring all the necessary documentation. Check with your bank about the best way to transfer money to Costa Rica according to the seller. In this case, you must grant power to a representative in Costa Rica, fulfilling the requirements that you had previously indicated to him or her. Because this document must be legalized at the Costa Rican consulate nearest to your residence site, we suggest you contact the consulate so that the documents meet all the required conditions. This will save time and the process will progress. In Downloads you can download an example of such power. The notary checks all documents (see Downloads). You carry out the negotiated payment. On the date and the place agreed upon and before a public notary you and the seller, or broker in case it is done through an intermediary, will meet to sign the deed. Doing so is the legal celebration of the transfer of ownership over the property. After signing, you will transfer or deliver the remaining money and the seller will proceed with the transfer of the property together with its keys. 9. Registry of the deed. The deed of the property must be presented before the National Registry. This deed is an exact copy of the deed that is left in the notarized protocol of the notary who prepared it. In addition, you must present the receipts of the payment of the transfer tax as well as other taxes and stamps. Once the documentation has been presented, the deed is assigned to one of the registrars for qualification. If you meet all the requirements, the testimony is registered and the ownership of the property remains in the name of the buyer: you. If there are defects in the document, it is returned to the notary for correction and the process must be repeated again before the National Registry. In Costa Rica the easier type of account for a foreigner is a savings account, since banks have many limitations when opening a checking account. The initial deposit for savings accounts can be made from 50,000 colons to several hundred of thousand colons. Letters of recommendation from other banks in which you have been (from your home country). Personal request (In Downloads you can download the form to open savings account). Employee order (salaried employees) or evidence of income. Copy of identification of the holder and authorized, legible and in force. What are the necessary costs during the real estate purchase process in Costa Rica? The taxes when buying a property in Costa Rica are quite low. Real estate property transactions are taxed with 0.25% of the declared property value. It is the obligation of the owner to declare the value of the property to the corresponding municipality every 5 years, at least. Certificate of debt of the Municipality (municipal creditworthiness): 0.5% approximately of the total value of the property. The process takes around 1 day. In order to request this document, you need to know the cadastral number of the respective property. 2,785 Costa Rican Colones is issued online and the process takes less than a day. This is paid by the seller. Ownership Certificate of the Property: 2.300 Costa Rican colones. The procedure takes 15 minutes. Transfer Tax (“Impuesto de Traspaso”): 1.5% of the sale price. Stamp Taxes: Registration Stamp Tax, Municipal Stamp Tax, (“Timbre Municipal”), Fiscal Stamp Tax, (“Especie Fiscal”), Agricutural Stam (‘Timbre Agrario”), Costa Rican Bar Association Stamp (“Timbre del Colegio de Abogados”): 0.83% of the trasaction amount: 0.83% of the transaction amount. Lawyers fee (according to the “Colegio de Abogados”) 75,000 Costa Rican Colones per hour of professional service. This pays the person who hires the lawyer. Attorney fees for the preparation and certification of real estate documents must adhere to the Costa Rican regulations. According to the official table, the attorneys’ fees are between 1.25% and 1.5% of the actual selling price of the property. The commission of a real estate agents is usually 5% of the sale price. This pays the person who hires the agent. Assessor (optional): a detailed and comprehensive appraisal in Costa Rica, which includes a field visit, is carried out for 65,000 Costa Rican Colones for properties with a single building and less than 150 square meters. For other properties, this service is conducted for 80,000 Costa Rican Colons. This value is paid by the person who hires the appraiser. Translation costs, if necessary, are paid by the person who hires the translator. Where I can find Costa Rica real estate financing? There are possibilities of real estate financing for non-residents: Scotiabank is currently the only bank which lends money to foreigners who are not legal residents in Costa Rica and the approval of the application is based on the applicant´s credit history in the U.S. and his/her income. 70% of the appraised value of the property can be financed. For legal residents in Costa Rica: a local, state, or private bank can provide you with a mortgage. Before you will obtain a mortgage by a bank, it will conduct an assessment: each bank has its own experts with whom they work, however, while some banks will not send the expert until the loan is pre-approved, others will do the assessment before having accepted to offer the loan. Note that the values of properties in Costa Rica are not standardized and because of that, it can happen that the appraised value is lower than the market value of the property. During the third quarter of 2015, the construction sector especially for residential properties grew in Costa Rica at an annual rate of 5% yoy, particularly driven by the development of new residential projects in areas with high potential. Such projects accounted for 21% of the entire Costa Rican construction sector. In recent years demand has increased, also driven by foreign investment. 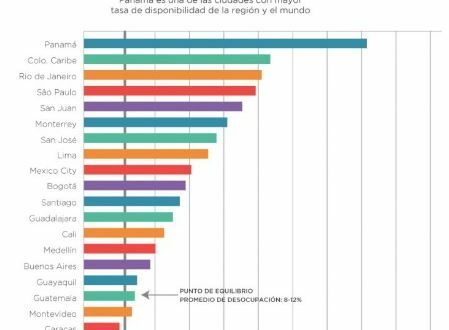 According to the ranking “Country Brand” held annually by the firm “Future Brand”, Costa Rica is holding a leading position among the top 10 most environmental destinations of the world, ranking it the first country in Latin America. Additionally it is ninth among the most attractive nations of the world for residence. How has the real estate market in Costa Rica developed in recent years? 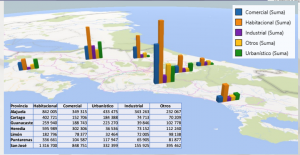 Costa Rica´s construction market has experienced a recovery in recent years. During the first three months of 2013 the property market in Costa Rica was reactivated with $ 377 million in property purchases and construction of foreign capital. In 2014, the sector recorded an 8% increase in available square meters available. In2015, the total square meters of housing constructions grew by 14% compared with 2014. According to the Association of Engineers and Architects (CFIA) the amount of newly constructed square meters was around 9.2 million square meters. It is estimated that the total square meters for housing construction registered during the first three months of 2016 grew 15% over the same period of 2015, driven by residential construction. To give quick a quick overview, 38% of the entire loan volume is spent on housing construction, while 35% is used for the purchase of new homes. With respect to real estate development, apartments reflect the greatest area as well as costs. The increase of buildings and condos reflects a response to greater the demand of the middle and upper middle classes. In 2016, however, especially apartments with less square meters than 42 m2 have been incorporated to meet the demand for single individuals or very small families. Depending on teh family composition, houses are the most desired entities because they have more rooms and common areas. Both horizontal and vertical condominiums are another alternative. Projects often include common areas and services such pools, recreation areas or gyms. Those is a common areas are often times being classified as “mixed”: office spaces with residential space, retail, and residential spaces in one place. Do I have to declare my rental income to the “Dirección General de Tributación” (DGT) of the “Ministerio de Hacienda” of Costa Rica? According to the law on income tax (Act No. 0742), Chapter XXII, Article 54 “Costa Rican income source” prospects from any income from real estate properties located in Costa Rican territory such as rent, leasing, and other real estate contracts must pay taxes. This complements article 53 which clarifies that tax must include all persons domiciled abroad who receive income from real property located in Costa Rica. In the case of taxes on personal income, only the income generated in Costa Rica is taxable. Property tax (land tax tax): 0.25% of the total value of the property annually. Solidarity Tax: The tax applies to construction and proportional to the construction site, ie, the space used for housing, including fixed installations such as recreational areas, swimming pools, sports facilities, ranches, access roads and parking. The tax base is the taxable value of the property in accordance with the valuation criteria established by the General Directorate of Taxation, minus the free section. The applicable rate is progressive and is updated annually. Is there a limit on the quantity or price for investments? According to Costa Rican law, foreigners have an unlimited right to buy property, land and soil. The only limitation that exists in this regard is for private individuals, within the areas of 200m from the sea, an estuary, natural reserves and islands off the coast. What kind of real estate can acquire a foreigner in Costa Rica? According to Cynthia Solis, Consulate General of Costa Rica in Los Angeles, there are no obstacles for foreigners to buy properties or businesses in Costa Rica, provided they meet the legal requirements and do not have to be residents. The law provides equal rights for foreigners and citizens, so there are little real estate restrictions for foreigners, providing that no special conditions for the purchase of properties in the country except the purchase of property in maritime land areas or ecological zones. To conduct real estate transactions in Costa Rica, you need to perform the following steps and obtain the following documents: Identification Document, Cadastral Plan, Public Registry and Powers. 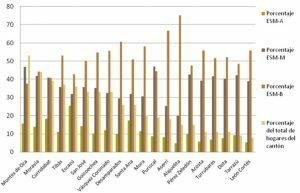 Costa Rica is the fourth best country in the world for foreign investment because of the ease that exists for foreigners to own land in Costa Rica. What immigration policies apply to foreigners? In case of emergency I can take my family? According to Article 93 of the Immigration Regulations, no foreigner or his/her dependents who acquire temporary residence as an investor can make any manual or intellectual remunerated work. In the case of Americans, no Visa is required to enter Costa Rica, you only need a valid passport and a return flight ticket. The minimum valid US passport should be one day when entering Costa Rica. In case you have a permanent visa, student visa, work visa for the United States and / or any country in the European Union or Canada you do not need to apply for a Visa in order to enter Costa Rica as long as your passport is valid for at least 6 months from the moment of entry to Costa Rica and have a return flight ticket. Two recent passport-size photographs, 5 cm x 5 cm with white background. Receipt of a payment of US$50, paid in Costa Rican Colons at the Banco de Costa Rica. This receipt must indicate your name in the part where it says “Depositor”. Copy of paid invoice of the payments of 2.50 Costa Rican Colons per sheet of the passport plus 125 Costa Rican Colons, to be submitted with your application. This receipt must indicate your name in the part where it says “Depositor”. Proof of registration of fingerprints, issued by the Ministry of Public Security, only for people older than 12 years. Proof of consular registration. The requirements for such registration shall be determined by the consulate of your country. Proof of Birth, issued in the country of origin, duly legalized or apostilled in the case of countries that are part of the Apostille Convention. Proof of the criminal record issued in the country of origin or the place where you have lived legally in the last 3 years. This must be duly legalized or apostilled. If the records are not the country of origin, along with this requirement you must submit a copy of an immigration document that was granted legally in the country where you lived the last 3 years. Passport and photocopy of ALL pages of the passport stamps of any kind. If you don´t provide the original passport, the photocopies need to be approved by a public notary. The passport must have valid entry stamp to Costa Rica. Note: If you entered Costa Rica on a tourist visa but want to apply for temporary residence as an investor, you must deposit an amount of US$200 at the Banco de Costa Rica in Costa Rican Colons in order to change your Visa category. Detailed description of the respective property of investment. Certificate issued by the Land Registry in which it is shown that the property is properly registered. Proof of registration and payment of taxes to the Directorate General of Direct Taxation and the relevant Municipality in which the real value of the property is proven. There is a reliable property manager on site? HalloCasa provides you a list of property managers. Can I transfer money from Costa Rica to my home country? Yes, you can transfer money from Costa Rica to another country. We recommend you discuss this matter directly with your property manager or your bank. It might be of interest for you to know that The Costa Rican Central Bank has Forex trading service that allows operations in any world currency. Transactions are shipped the same day and can be made from any bank office nationwide.